By all accounts, GIS Day 2018 was a resounding success. 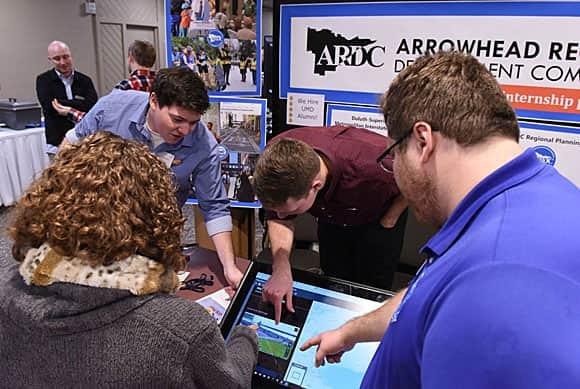 More than 1,200 events were held around the world as government organizations, nonprofit groups, and universities sponsored open houses and other programs to increase awareness for GIS and what the technology can accomplish. What follows are abbreviated highlights from six GIS Day events that were hosted by organizations on or about November 14, 2018, the official celebration date. To view some of the other activities or to compose and add a short narrative of your event, click on this story map. 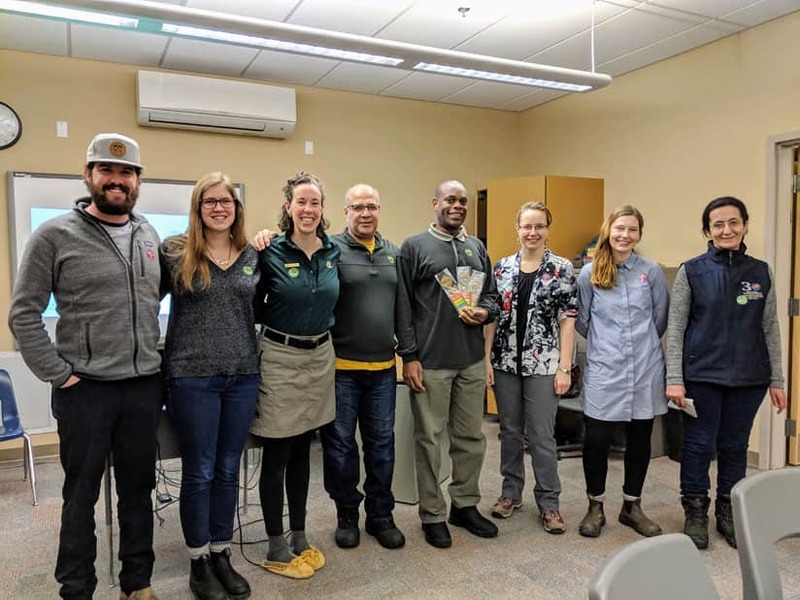 Aurora College in Inuvik was the site of a three-hour program that was devoted to teaching people about GIS, with an emphasis on how it is being used to study the Mackenzie Delta region in the Northwest Territories. Event organizers included Hayleigh Conway, a geomatics technician for the Western Arctic Field Unit, Parks Canada; William Woodley and Nanar Hakobyan from the Northwest Territories Centre for Geomatics; Alice Wilson from Environment and Natural Resources, Wildlife Division, Government of Northwest Territories; and Celtie Ferguson, Annika Trimble, Garfield Giff, and Amir Zeb from the Aurora Research Institute. Organizers of a GIS Day event in the Northwest Territories visited several schools to teach students about maps. The group of organizers also went to East Three Secondary School in Inuvik to show the students topographic maps and GIS apps and demonstrate how wildlife collars and telemetry can be used to track the movement of caribou. Later, the group went to East Three Elementary School, where they showed the youngsters a Canadian geographic floor map of the boreal forest, taught them about map scales and legends, and conducted some geographic scavenger hunts. The week was a busy one. “It was bananas but a lot of fun,” said Conway. More than 150 people attended the GIS Fest on campus, which was sponsored by the university’s Geospatial Analysis Center. Presentations covered topics such as how geospatial data and analysis were integral to studying issues such as the opioid epidemic in the United States and mercury distribution in the St. Louis River estuary. Talks also were held on spatial web services and applications, drones, and the future of the geospatial technology industry. The GIS Day Fest at UMD attracted a crowd who wanted to learn about mapping. More than 60 people who work in geodesy, biology, architecture, forestry, and geography attended a workshop on mobile GIS apps. Attendees listened to presentations about the practical uses of mobile GIS and the apps used in research work related to mapping landslide risks in Slovenia. The participants also got the opportunity to collect data with the apps. Thirty students from Heritage High School in Leesburg, Virginia, celebrated GIS Day as guests of the Esri R&D Center. 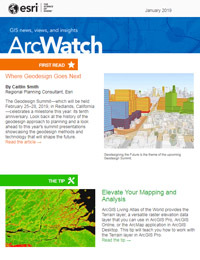 The center’s director and chief technology officer, Andrew Turner, demonstrated ArcGIS Hub. Also, Allen Carroll, program manager, storytelling, gave a workshop on how to author Esri Story Maps apps. The students are enrolled in teacher Michael Wagner’s GIS and geospatial science class. People can add their GIS Day stories to this story map. The GIS team for the City of Whittlesea, located just north of Melbourne, celebrated GIS Day with a cake and presentations. 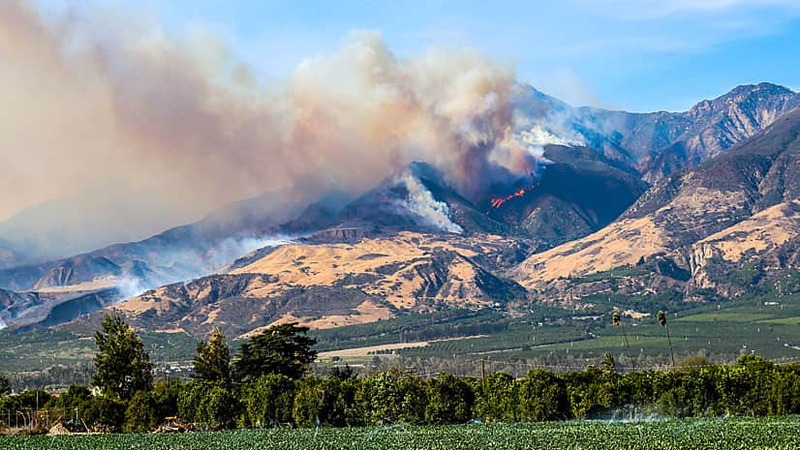 The program included showing people how the city uses story maps to communicate with the public, how lidar technology is used, and how GIS mobile apps are assisting the city in weed control and hard-waste collection efforts. Wesleyan University students were invited to “Come learn what GIS is and what it can do for you.” The GIS Day participants attended a humanitarian mapping marathon; used a crowdsourcing app to map favorite spots on campus; and heard a presentation by Sam Raby, a cartographer and storyteller who currently works for the nonprofit group JustFix.nyc. He has used Esri ArcGIS software, including Story Maps apps, to analyze and visualize issues such as refugee displacement, housing affordability, and income inequality. A group of young people in Malawi celebrated GIS Day by mapping data collected in the field. In addition, hundreds of other celebrations were held in big, medium-sized, and small communities around the globe. For example, in Lilongwe, the capital city of Malawi, a small group of young people used GPS on phones to capture point features on shops, maize mills, churches, mosques, and water sources and mapped the locations by using ArcGIS. And in Tacoma, Washington, the Port of Tacoma created a story map with a multiple-choice quiz, asking people to identify 10 of the most beautiful ports in the world, using satellite imagery and photographs as clues. View the story map and take the quiz. 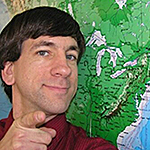 Joseph Kerski is a geographer, Esri education manager, and an enthusiastic advocate for all things mapping. “Maps engage, maps inform, maps inspire,” he says. 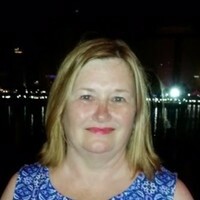 Kerski earned a Doctor of Philosophy (Ph.D.) in geography from the University of Colorado, Boulder. Follow @josephkerski.